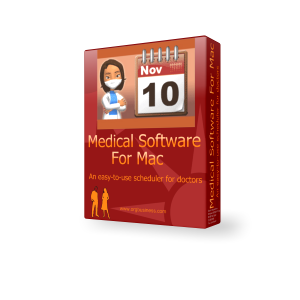 The Medical Software, designed specifically to be used on Mac (OS X) is a scheduling software that facilitates physicians individually, or in form of a medical center with several doctors are performing different services. The program is an easy to manage, organized tool that helps in systematizing schedules of the entire staff in the most competent manner. 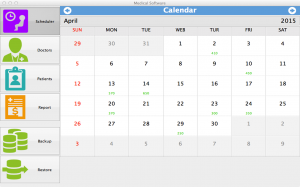 The Medical Software can be used efficiently for all types of medical professions including dental practices, orthopedics, dermatology, gynecology, pediatrics, psychiatry, family medicine, etc. The program is simple, speedy and easy to use and can be effortlessly operated by anyone. No special training or education of any sort is required to operate or manage it. 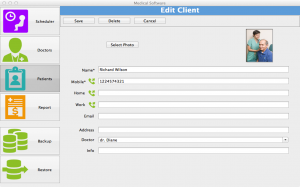 The main menu offers five icons with distinct features. 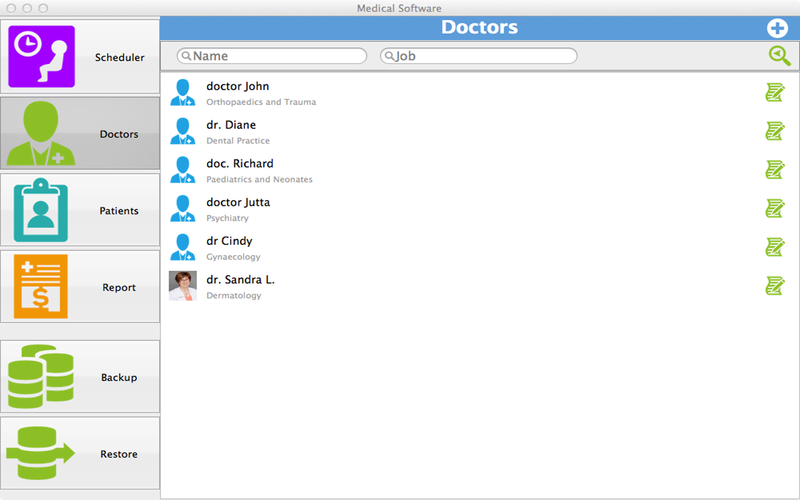 These icons include Doctors, Patients, Reports, Scheduler and Backup/Restore icon. 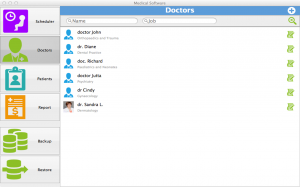 The Doctors section allows every doctor to maintain a personal profile with name, contact details, specializations and all other profession related data in it. 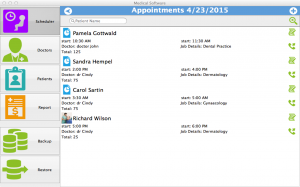 Viewing these profiles appointments for a patient can be made easily with the respective doctor. 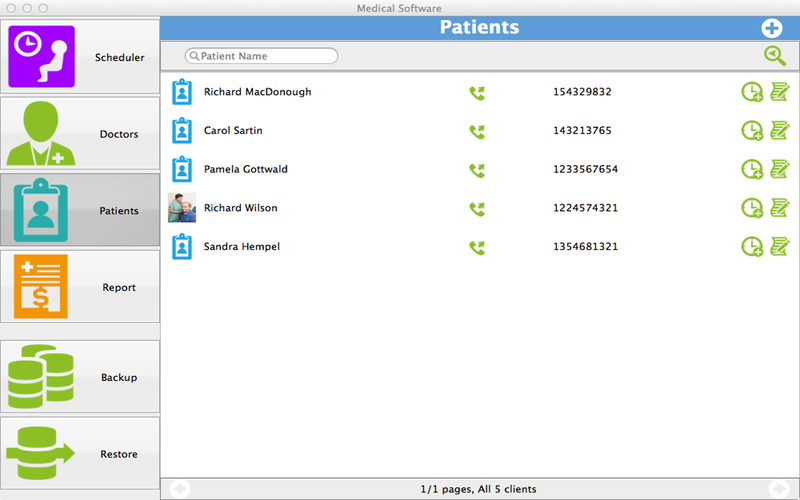 The Patients section holds the entire data of a patient including his or her name, address, email, photo and phone numbers. Data of any patient can be checked from this section for reference if needed. 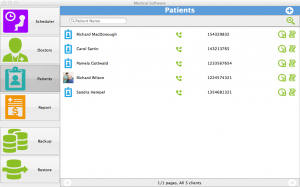 The program offers additional services including the option of calling directly to Skype IDs of patients and doctors, besides making direct phone calls to them. 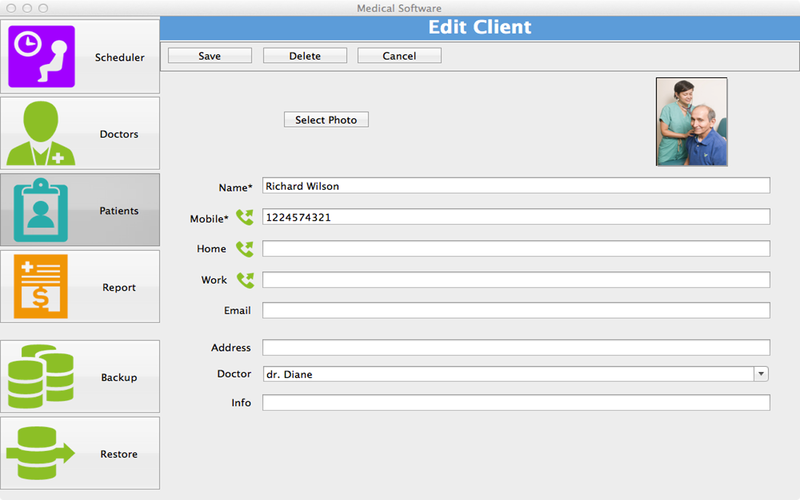 Also the program can be used to capture pictures of clients and doctors to be saved with their profiles for future references. The Reports section offers a complete financial breakdown including total daily earnings along with details of how that amount was earned individually by doctors. 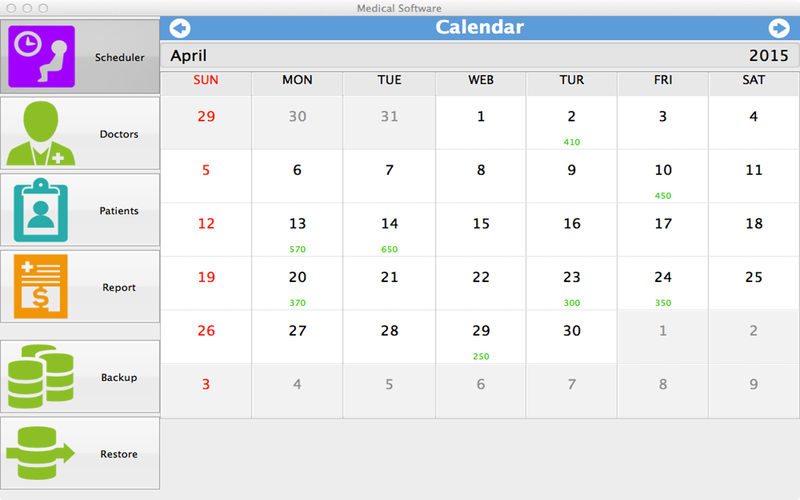 The Scheduler section appears in form of a calendar showing daily earned amounts on the dates they were earned. Clicking on a date further reveal appointments, details of jobs performed and earnings of every job performed on that date. 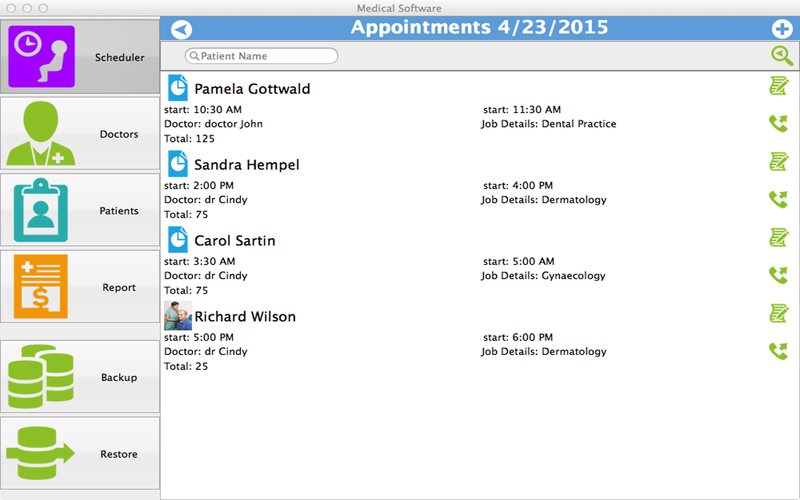 Also through viewing the calendar, new appointments can be made easily through a quick glance at the calendar for available timings. Besides the main functions of management that the program proficiently offers, another useful feature offered is the Backup/Restore option. This not only allows users to save their precious data on multiple devices but also allows the program to be compatible with other devices such as Android and Windows. To avail this opportunity, users require installing relevant programs from respective stores.